March 2nd 2016 was Read Across America Day and also Dr. Seuss' birthday. We celebrated by having special guests read a favorite Dr. Seuss book to all of the grade levels at my school. I was lucky enough to get the chance to hear Rich Hoffman of News 12 talk to some of our students about his favorite Dr. Seuss book. The kids also got a chance to ask him questions about his job, we also got a mini tour of the studio via Skype and a special sneak peek at the weather forecast! I put together this little Lorax tube and truffula tree craft in honor of both Dr. Seuss' birthday and Read Across America day. Step 1. 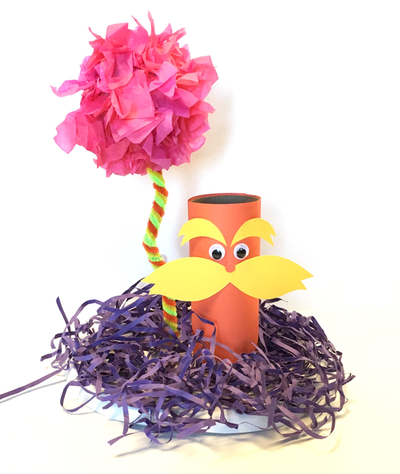 Decorate your tube like the Lorax, I cut out a mustache and eyebrow shapes and glued on wiggle eyes. For the body, I cut a 6"x 4 1/4" piece of construction paper, wrapped it around the tube and stapled it on. Step 2. 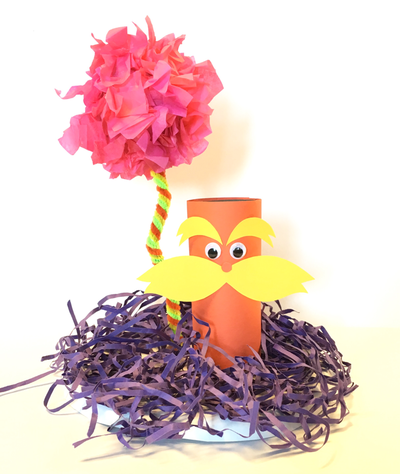 To make the truffula tree stick a small styrofoam ball on a lollipop stick and wrap with pipe cleaners. Decorate your styrofoam ball with tissue paper squares. Step 3. 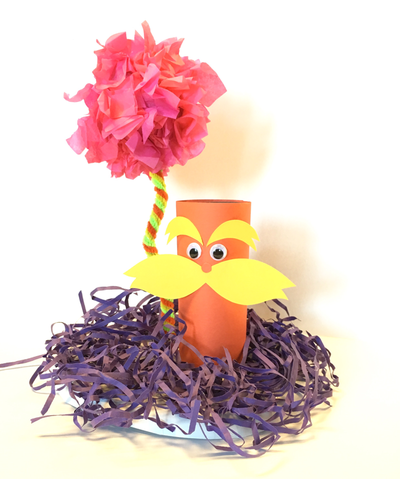 Hot glue your truffula tree to a small plate. 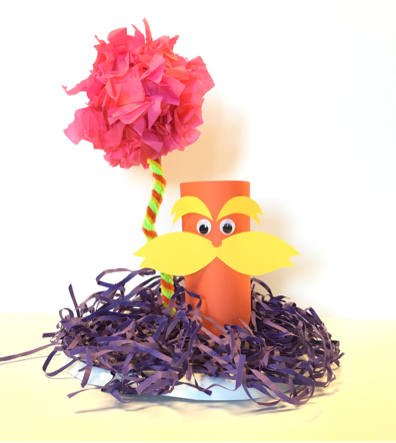 Glue shredded paper to the plate surrounding the trunk of the truffula tree. Step 4. Glue on your Lorax.